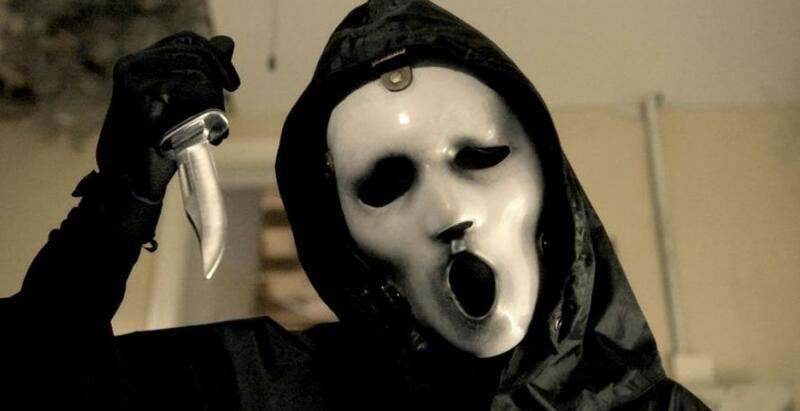 Horror junkies everywhere can now get their fix by watching Scream, now available on Netflix. Ah! Tis’ the season to indulge in epic amounts of horror and watch every scary movie and horror TV series you can set your sleepy little student eyes on, (including the crappy ones and the ones you told yourself you would never watch). Fortunately, while I have seen my fair share of crappy horror movies and TV flicks, Scream is definitely one I would recommend investing some time into. To start off this review, I will dive right into the plot line and technicalities of the TV show. Essentially, Scream is a teen-drama thriller based off of the original Scream movie series directed by celebrity horror film fanatic Wes Craven (not Wes Anderson, totally different and irrelevant director). It’s important to note that Wes Craven also had a part in this Netflix-original series, as he was one of the executive producers for all ten episodes of the first season. Equally as important to note that Wes Craven has directed some of the world’s best slasher films, including A Nightmare on Elm Street and The Hills Have Eyes (for those of you who don’t know what a slasher film is, think knives. Lots and lots of knives). So what is the plot of this intriguing show anyways? Emma Duval: arguably the main character of the series and the intelligently attractive female lead who drives the plot. Kieran Wilcox: basically every boyfriend you wish you had. Ever. Piper Shaw: the, “what is the point of this character?” character. The list goes on, (as you can tell, there are a lot of characters). Although I will admit it takes some time to get used to all the names, each and every character has a specific role in the series and makes it increasingly difficult to determine who is the real killer. One thing that really irked me about the series was the fact that the majority of the actors were adults who had to play the roles of teenagers. This didn’t pose any problem to the plot, it just gave the show this sense of “unrealism”. It is also highly enforced throughout the show that the teenagers are indeed in high school, almost as if the director wasn’t sure himself that people would believe that. Scream is intended to be a horror series however if you are looking for an immense scare, this is not the series for you. It takes on more of a Criminal Minds approach to horror: the thrill of not knowing what is going happen next, with just the right amount of gory details. In fact, there is one pretty gory scene that rightfully freaked me out, due to it’s sheer unexpectedness. Speaking of unexpectedness, the final reveal (in other words, who has been killing all the teenagers), is a bit shocking. If you are clever and can fit pieces of a one-thousand-piece puzzle pretty fast, then I would say you could probably figure out how the show ends, but I for one, was put in a state of “what the f**k”. Overall, I would give this show a 7/10. Scream presents a fine-line between guilty pleasure horror and the type of horror that remains iconic for years to come. The show has its perks: being only ten episodes long, you can Netflix binge on this like no other! It is also just generally very hard to put down. Each episode ends on a cliff-hanger and keeps you hungry, or shall I say killing, for more.